This is an album that ranks among Neil Young and Crazy Horse’s best, and in effect it is “Tonight’s the night part 2”. It is a dark, brooding masterpiece, with many of the same themes as “Tonight’s…”. It is a record than explain to us why Neil Young have earned the honorary title, The Grunge Godfather. 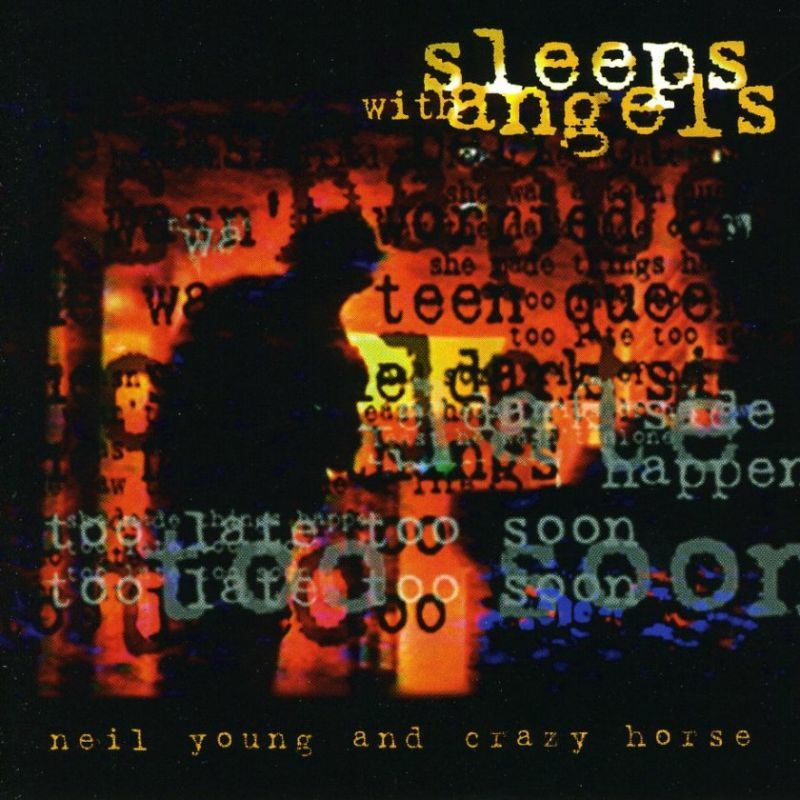 Sleeps With Angels is the twenty-second studio album by Neil Young, his sixth with Crazy Horse, it was released on the Warner Bros. Records/Reprise (same as Tonight’s the Night by the way) label. The album was conceived as a conscious attempt to recapture some of the atmospheric experiments Young and Crazy Horse played around with in the After the Gold Rush era. Though the majority of the album was recorded before the fact, Young created the title track after the death of Kurt Cobain, who quoted him in his suicide note. The tone of the album is dark and brooding, the one exception being the punk-influenced “Piece Of Crap”. Two songs (“Western Hero” and “Train Of Love”) feature the same music with differing lyrics. Let’s also have a listen (and look) at the 15 minute centerpiece, Change Your Mind, fantastic stuff!